It’s pretty safe to assume the Boston Red Sox are happy they did what was necessary to acquire left-handed pitcher Chris Sale prior to 2017. All the dude does is strike people out. 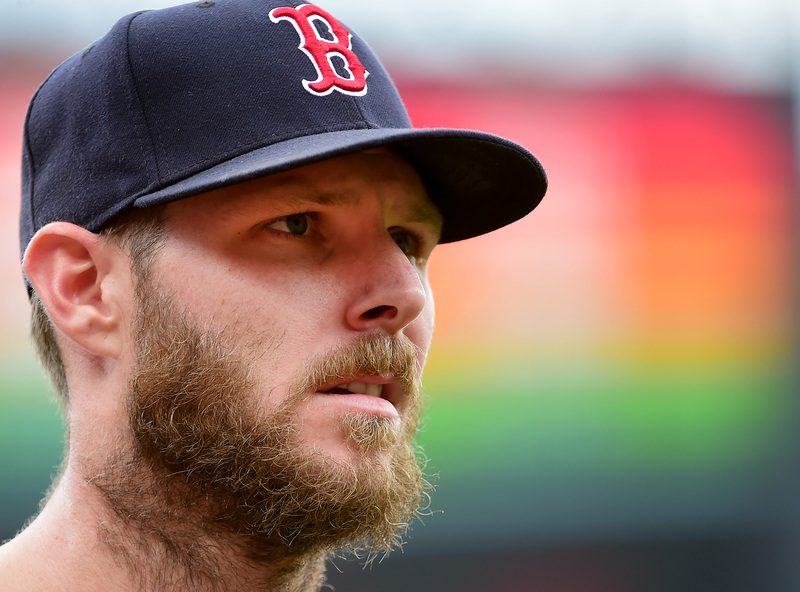 Daily fantasy fans may debate whether Draftkings vs Fanduel is the ultimate site to play on, but everyone is in agreement that having Chris Sale on your team nearly guarantees you a win. After posting career highs in strikeout rate (36.2%), strikeouts per nine innings (12.93), and overall strikeouts in a year (308) last season, the southpaw is up to more of the same in 2018. What makes Sale so special? It could be his equipment. Check out this list of the best baseball gloves. His most recent start took place at home against the Texas Rangers on Wednesday night, and he was his usual dominant self. In a winning effort, Sale allowed just 6 hits and 1 walk while striking out 12 over 7 shutout innings. This is the fifth consecutive start (and sixth out of his last seven) where he’s struck out at least 10 hitters. And as it turns out, he’s the master of going on these kinds of streaks. Chris Sale now has 3 streaks of at least 5 straight 10K games since becoming a starter in 2012. The rest of MLB combined has 4 in that time. The 29-year-old lefty has also made it a habit of not allowing much else when he sits that many opposing hitters down via strikeout. This latest effort has Sale’s strikeouts per nine innings rate currently sitting at 13.12. As one can imagine, this number has him in some elite company if it can be sustained throughout the summer and fall. Chris Sale is averaging over 13 strikeouts per 9 IP this year. If you’re the kind of person that prefers strikeout rate, Sale’s 37.2% mark is behind only Pedro Martinez’s ridiculous 1999 season (37.5%) as being the highest among qualified starters since 1990. (For what it’s worth, Max Scherzer isn’t too far behind him, either.) The southpaw’s 16.0% swinging-strike rate is also on pace to be a new career high, but is just second in the league thanks to Scherzer’s 17.0% rate, heading into Thursday’s action. Although his pitch mix has stayed virtually the same compared to last year, the effectiveness of Sale’s slider has gone up a notch. After that pitch generated a 38.0% ground-ball rate, 47.7% strikeout rate, 16.8% swinging-strike rate, and a 64 wRC+ in 2017, those numbers have improved to 51.4%, 51.2%, 17.4%, and 7 (!! ), respectively, so far in 2018. Boston gave up a lot in prospect capital to bring Sale to Fenway, but he’s proven his worth (and then some) nearly every time he toes the slab.